The fifth grade teaching team was awarded a HAEF grant to purchase chromebooks for their classrooms. The chromebooks are being utilized throughout all of their literacy units to focus on comprehension strategies. The chromebooks also give students the ability to use audiobooks for learners who need to hear as well as read text. In addition, students are using this technology in fifth grade writing, social studies, and math. It's great to be a Husky! Mr. Dufresne and Mr. Zimmicky were awarded a HAEF grant to purchase ukuleles for their classrooms. 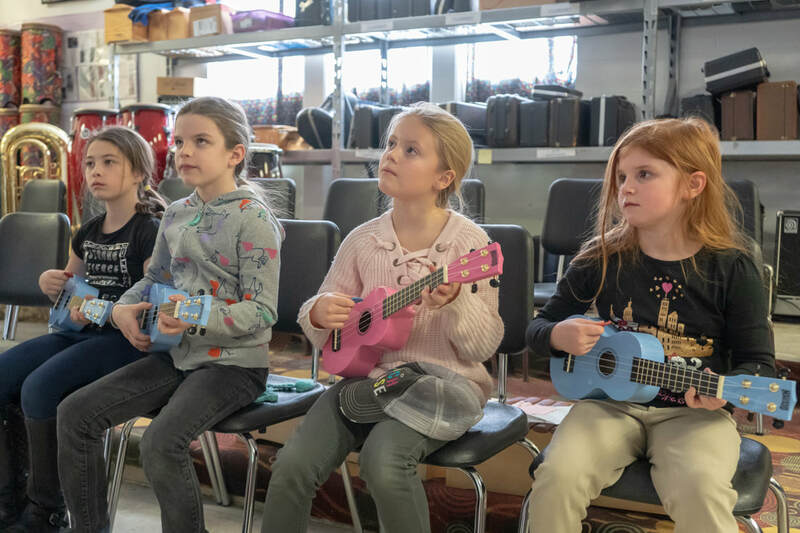 By teaching the ukulele to students in elementary and middle school, we set our Huskies up to become engaged self-motivated learners of the music making process. Power of the Pack! Mrs. Mison was awarded a HAEF grant to purchase chromebooks for her classroom. As we grow 21st century learners, our Huskies are using chromebooks to access frequently used websites that align with the Michigan Academic Standards. The students are becoming extremely proficient with this technology which adds excitement to their school day. Power of the Pack! Mrs. Cichon was awarded a HAEF grant for Kindles to be used as a reading station in her classroom. 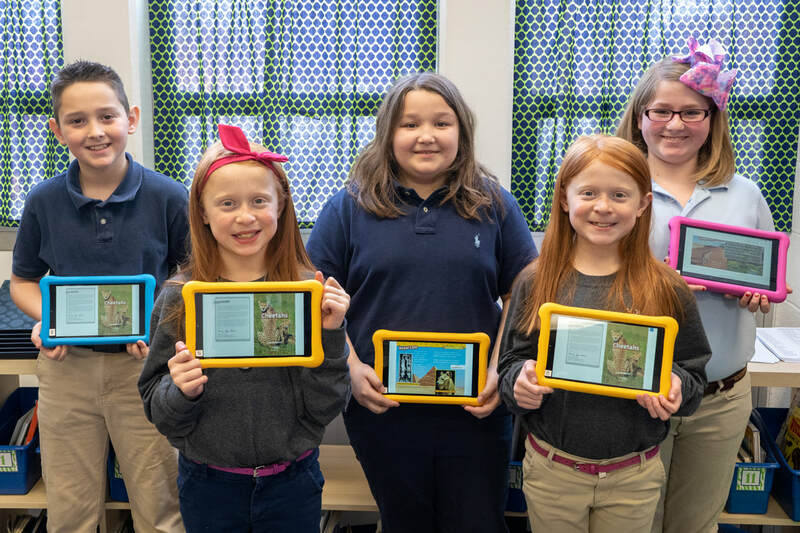 Her Huskies are enthusiastically interacting with text on these e-readers! An added benefit of having the tablets is that the students can take an AR quiz on their book choice right on the device! It's great to be a Husky! Ms. Bunyak was awarded a HAEF grant for STEM supplies for her Y5 classroom. In STEM lessons students apply science, technology, engineering, and mathematics in activities that make connections between school, community, work and other "real life" applications. It's great to be a Husky! Mrs. Plewka received a HAEF grant for large building blocks to enhance her Young 5s classroom. Her students used the blocks to build cooperative and language skills through collaborative play, increase fine and gross-motor skills, and increase spatial intelligence. 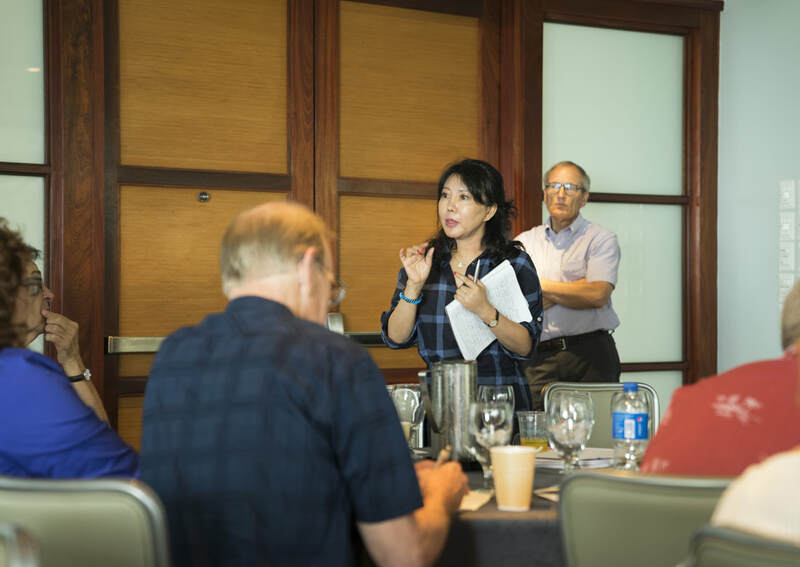 Her class has been enhanced through increased math and science skills, such as, problem-solving, testing hypotheses, and structural engineering skills. Mrs. Stevens received a HAEF grant for additional Lil Professor math games to enhance her ZONES math workshop. Students used the games to further promote fact fluency and build mental math skills. That means her entire class has access to the math games at the same time. Lil Professor games will increase interest, practice, speed, and accuracy.The grant means her classroom has been enhanced with the ability increase math fact stamina, differentiated operation skills, and provide immediate results. She is excited with the ease and interest added to the math routine for her 2nd grade class! Mr. Dufresne and Ms. Tappen received a HAEF grant to add additional Orff Xylophones to their classrooms. Now all students are able to use a xylophone at the same time. 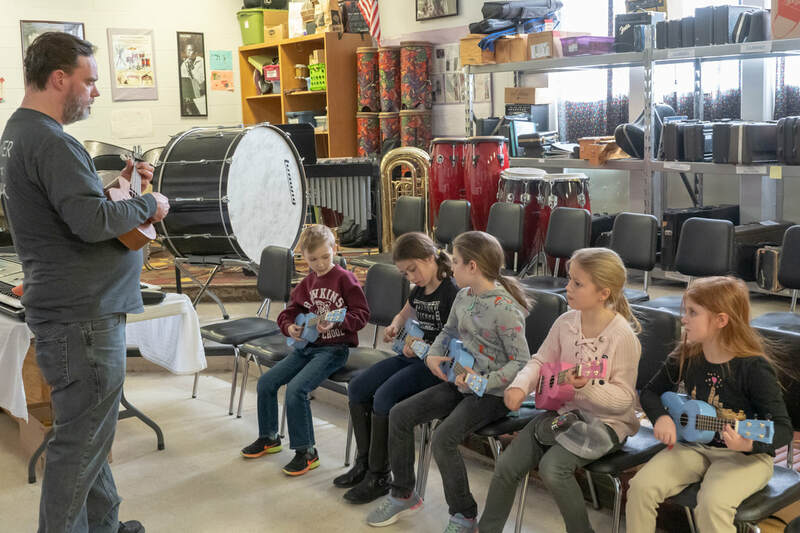 The xylophones enable the music educators to demonstrate and explain a broad array of musical concepts using an instrument that is easy to play. These instruments help when studying concepts such as high and low, more or less, soft and loud, and the shape of the melody. The extra xylophones helped improve student scores on daily composition work, facilitating greater understanding of basic concepts. Over the long term, the extra xylophones will improve the musical foundation of all students. Mrs. Maly received a HAEF grant for 6 Kindle e-reader devices. That means one entire reading group can use them at the same time. She hopes to fire up student enthusiasm for reading. The grant means her classroom has been enhanced with the ability to acquire more books at a cheaper cost. Her students love reading so much they are allowed to check out the Kindle devices to read at home. The 5th grade team (Mrs. Sheppard, Mrs. Kolinsky, Mrs. Bunyak, and Mrs. Shephard) received a HAEF grant for additional chromebooks in 5th grade. The chromebooks allowed the teachers to task students with unique assignments like interactive blogging, peer editing, new ways to research, build fact fluency, and to creative ways to solve problems. The students have become more fluent in typing skills and computer literacy. The students have also been able to draft and revise papers and use math tools similar to the requirements they see on standardized tests. This grant has helped the student to achieve a level of excellence required in today’s high technology use society. Mrs. Foss received a QBall for her classroom. The QBall is a throwable microphone which is a fun and dynamic way to engage and interact with any class. Her class used the Qball for spelling activities and answering specific questions that she asked them about a story they read. It could also be used for math facts and geography questions, especially in the upper grades. The kids are excited to roll it to each other as it's a bit heavy for them to throw.